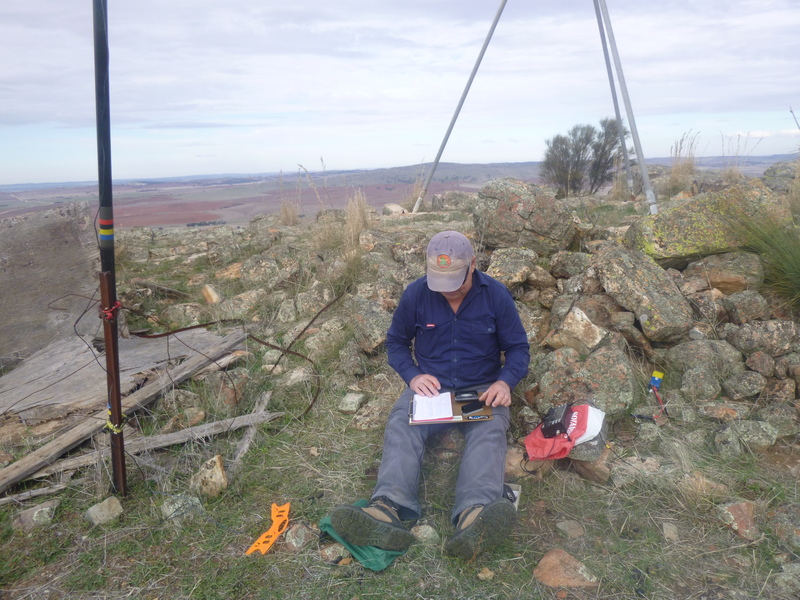 Well first of all Roger has upgraded his licence to VK5WE and was keen to try some of the SOTA action going on locally as he has been a chaser now for a few years. I got permission from Michael and Tony to do two summits on the same day and to prevent any long hike burn out on His first try we activated a couple “drive ups”. 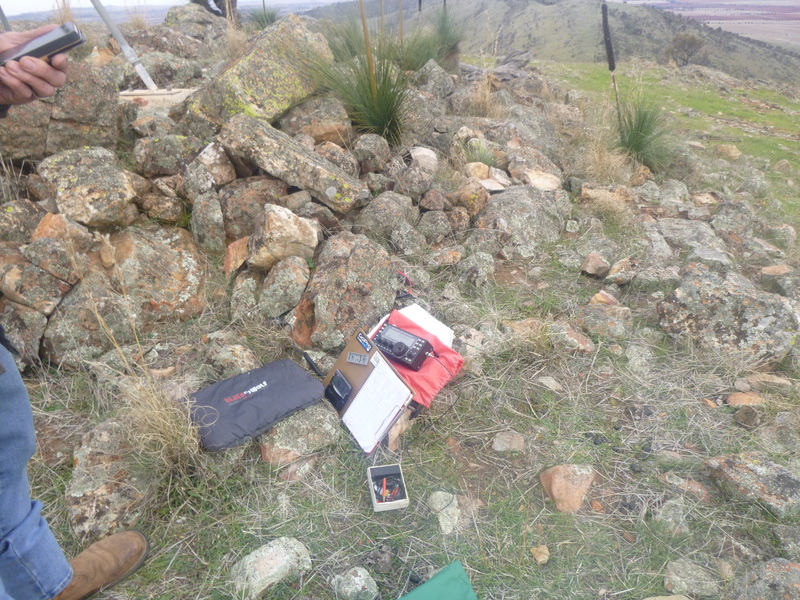 Well we did walk about 100 metres to each summit but nothing too strenuous, summits were vk5/ne-047 Mt Jay South in the morning and vk5/ne-049 Maurice Hill in the afternoon. 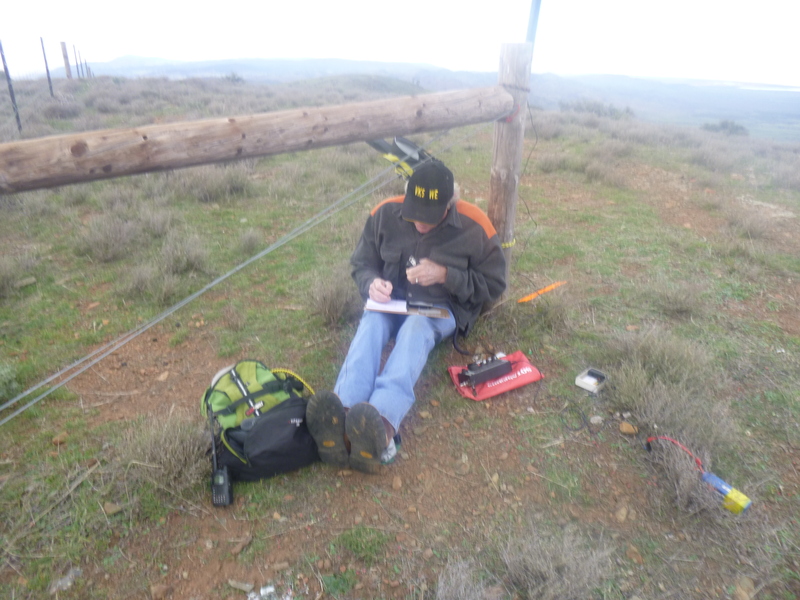 The band conditions being how they are we started out on 3.6 mhz first on both summits to work the locals who were lined up to give Roger his first contacts and make sure he qualified. 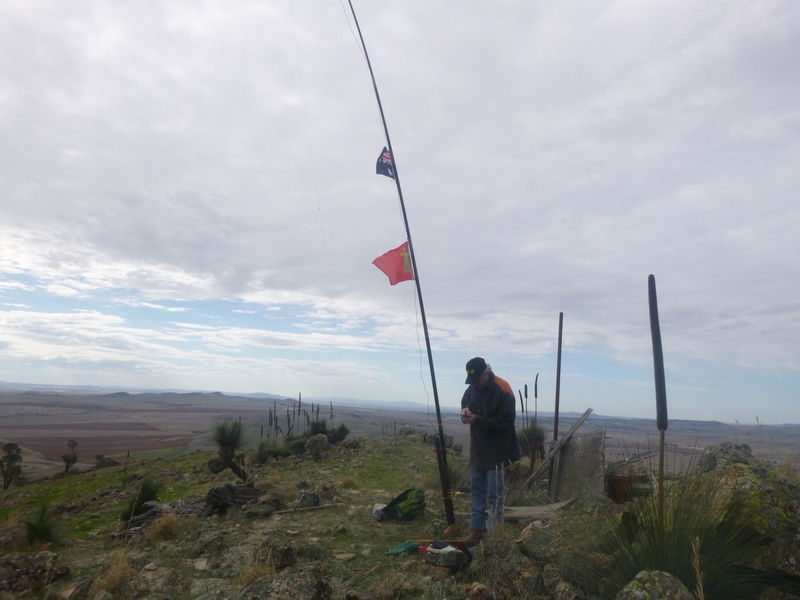 It was very windy and cold on this exposed hill top but great views across Spencer Gulf to the west and some great open plains views out east. We both made lots of contacts on 3.6 and 7 mhz and I had some chasers on cw as well as ssb. The summit off to the north is Mount Brown . We finished up and headed to the next Summit after a slow 4×4 trip back down and a coffee on the road side after the last gate. 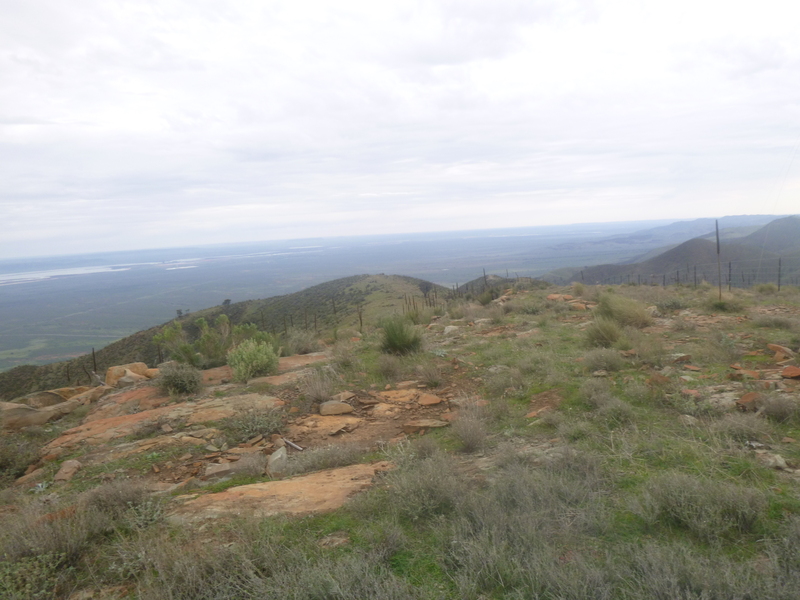 Maurice Hill is also quite exposed with great views all the way around and a steeper 4×4 climb to get to the top. 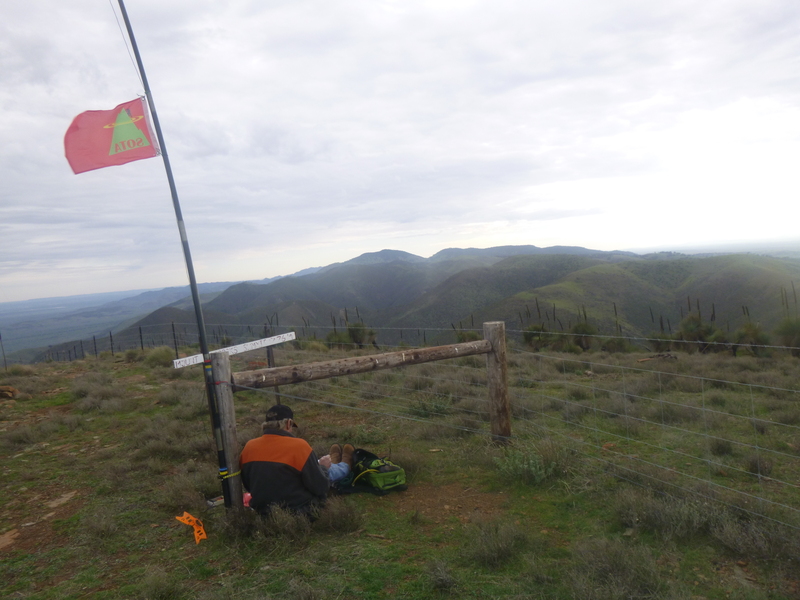 Neat summit this one with an old hut left to the elements so we made good use of the star picket to hold up the antenna. Nice spot to settle into the pile ups as the wind had dropped out and it was a very enjoyable stay on Maurice Hill this time. We worked the usual crowd on 3.6 mhz and we both had a good pile up of chasers on ssb and cw on 7 mhz. On behalf of Roger and Myself thanks to all the chasers for the nice activation’s.